Meet some of the Magical Story Jar family members and learn how they play an important role in spreading the story making magic! 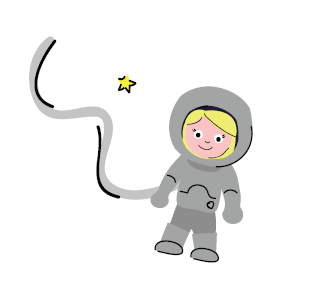 Matilda the Fearless Astronaut, Director of Business Planning and Strategy. Positive role models are extremely important to us here at Magical Story Jars. Matilda was originally created when we discovered our Director of Creativity thought only men could be astronauts…whaaaat! We figured it was likely that she wasn’t the only kid who might think that and it made us feel quite sad. Since then we have become passionate about using our story cards to help to showcase equality and diversity. We love Matilda so much that we created her a twin sister! They are the only identical characters you will find in both the Bright Star and the Once Upon a Rainbow Magical Story Jars. Matilda may well describe herself as fearless, but this doesn’t mean she doesn’t feel fear from time to time. However, she has been brave and decided that this is a good feeling as it helps her to reach for the stars, quite literally too! She is most at home when in space and is scared of swimming. She knows that to overcome her fear she must get in the water more. Luckily, she has a friend who’s a mermaid and has very kindly been taking her swimming every week. Although Matilda still isn’t a huge fan of the water, she’s gradually progressing towards becoming a better swimmer. When she’s not in space or swimming on earth, Matilda leads on making fearless and ambitious plans for the Magical Story Jars family. 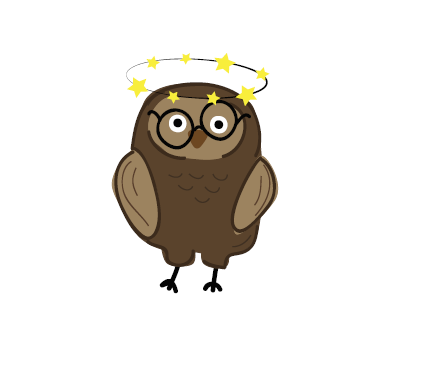 Mortimer the Clumsy Old Owl, Story Creator and Magic Maker. Mortimer is a clumsy and lovable old owl who lives in the Once Upon a Rainbow story jar. Unlike most owls, Mortimer is very clumsy. He regularly gets the night and day mixed up and twit twoos by day then spends the whole night snoozing! It was only last week he flew back home to his nest, took a wrong turning and ended up landing on a scurry of baby squirrels. Luckily, they were OK and mummy squirrel was forgiving! His favourite foods are marshmallows and paella (without the chicken mind you) and he's unashamedly terrible at map reading! He loves Spanish food, most likely because of his Spanish roots….did you know his middle name is Pablo? His friends don't care that he’s clumsy and love him just the way he is....even the squirrels he sat on think he’s a gentle old soul. Mortimer oversees story creation within the Magical Story Jars family. He also plays a role in making sure the top secret magic dust recipe is just right. Prue the Dragon, Director of Wardrobe and Make up. Prue is quite different from all the other dragons and that is what makes her so great. She has a beautiful voice and a real passion for fashion. Unfortunately, some of the other dragons tease her for being different. You see her skin doesn’t look quite the same as her fellow dragons, it’s bumpy and has more of a yellowy tinge. Prue ignores the other dragons unkind words because she knows that being unique is a wonderful thing. She always has matching accessories to go with her beautifully painted nails and she is the queen of neckerchiefs, she says they make her feel good when she wears them. She has so many that she has had to invest in another wardrobe! Prue is the Backstage Director of Wardrobe and Make up in the Magical Story Jars family. She ensures anyone who goes on camera is the best possible version of themselves, not just on the outside, but on the inside too. Please do tell us if there are any other Magical Story Jar characters you would like to hear about! In the meantime, we would love to know which member of the Magical Story Jar family you like the most and why? Keeping the Kids Happy During Winter - Not Long to Go Now!